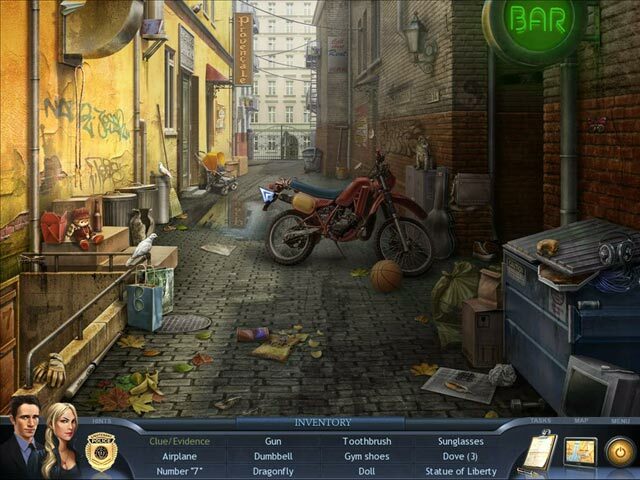 Help the Special Enquiry Detail crack the case, and catch a criminal, in this fun and exciting Hidden Object game! Join Detectives Turino and Lamonte, who have just been transferred to the Special Enquiry Detail unit. Their first case is the shocking death of the daughter of a wealthy family of benefactors. Dive into Special Enquiry Detail: The Hand that Feeds and become a New York City detective pursuing justice. 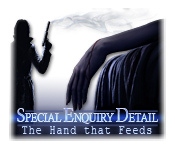 Special Enquiry Detail: The Hand That Feeds is rated 4.4 out of 5 by 17. Rated 5 out of 5 by Suelovesgames from Gorgeous Graphics The graphics in this straight forward HOG are really lovely, detailed and sharp. The environmental sound effects are also good. The storyline is a murder mystery and keeps you guessing until the end. It's a bit like that oldie but goodie BigFish game 'Murder She Wrote' not in style or graphics but in gameplay, dialogue and characterisation. There are some mini games located inside the HOS but you can skip them easily enough. It was pretty much a perfect game, perhaps a touch shorter than I thought it would be but I'm just nitpicking now! Rated 5 out of 5 by BlackwellFan25 from Wasn't Expecting To Fall In Love On This Game! At first, I wasn't expecting too much on playing this game, it looks boring, as I look on the game's photos. The trailer changed my mind, so I gave it a try. As I started playing it, I didn't expect to fall in love on this game! I love the storyline and the soundtracks are really good! I also love their dialogues, the HOG's and the mini-games. This game is very fun to play! I totally recommend this! Rated 5 out of 5 by Kimmycoo from Makes me want to be a cop! Love the music, its gorgeous! Love the precision HOB scenes, the graphics are awesome, and a great story line, this is a must buy! There are 12 chapters so its not so short! Loved it! Rated 5 out of 5 by Heather_G from Engaging Story I wasn't expecting much from this game. It sounded rather dry. Although it started as expected, the story quickly grew and sucked me in. The characters are fairly believable and their dialog is well-written, which impressed me especially since the game was apparently developed in another country. Near-perfect translations, American flags inserted, etc. It also ran perfectly on my older PC. As an old adventure gamer, there were too many HOSs for my taste, although that will be a plus for HO fans. Objects are all modern day items that make sense for their settings, and are true to scale. Hints are pretty good, and recharge quickly. The HOSs were fairly easy, so I could breeze right through them and get on with the story. And the story is where this one shines. It never deviates, it makes sense, and is not terribly predictable. There is depth to the characters. I even like the way they are drawn--very expressive. For forensics buffs, you might enjoy using all the lab equipment. I thought that was fun. You also get to interrogate suspects. It is quite linear, so you don't get to wander around and explore, but the progression made so much sense I didn't really mind. This is a nice little gem that should appeal to a wide variety of players. It's not very hard, but there are a few places that weren't quite appropriate for kids, so definitely a game for older teens and grown-ups. I highly recommend this one. Rated 5 out of 5 by Brooke_Lyn from Lots of Fun. Be The Detective, Female or Male! Finally! Same review for both “Special Enquiry Detail” games.. I love these! If you've been searching like I have for games where you get to be the detective? These games are exactly what you play! The team is made up of 2 detectives a Boss and the head of the forensics lab! It's male/female so everyone can step into the shoes of their choice and feel part of the investigation! No old mansions, scared kids, ghosts, knights with swords, sci-fi or back to the 1800's! Straight forward here and now engaging investigations with endings! HOS and puzzles are important to the games and not just random fillers! Sound track must be fine I can't remember it right now so it didn't bother me.. Negative: There’s only 2 SED games, I really hope they make more! Or someone dev catches on that a lot of us like that kind of game! Not for kids, mine anyway! Rated 5 out of 5 by Mrs_Kim from Calling all mystery game fans!! This game is the game where you can play like a real police/ detective. If you like James Patterson's WMC series, you'll like this one too. I bought this on the 2.99 sale and I am so glad that I did. It's definitely my kind of game. The graphic is great (not so thrilled with the cut scenes though, and the voice over is like bad acting) but the storyline is nice (although a bit unbelievable), still this is a 5 star game for me. Thanks, Big Fish! Rated 5 out of 5 by mandy2068 from The hand that feeds.. Only played the demo, Bit too much chit-chat for me ,but really enjoyed the story line ,an the mini-games . Graphic's really good too, hidden objects were blendin with the scenery , " just the way i like it ". Rated 5 out of 5 by Nanaofthreeboys from Great Kindle Fire game I found this game in the app store on Kindle for my new Fire and I love it, enough to also get it from the PC so others in the family can play it too. Great graphics and story. 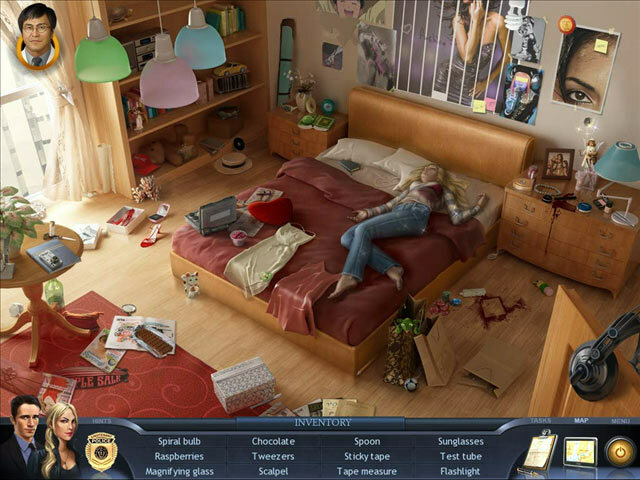 It also has good hide and seek games as well as the solving of the case. Love it!! Rated 4 out of 5 by tesamoine from Who Dunnit?? This is an older game, but one I enjoy. I just replayed it and realized how much I really liked it. You play 2 detectives (one male, one female) investigating a murder. You must find evidence, interrogate suspects and find out who did it. It's a fairly linear game. You aren't allowed to roam around. The only drawback to this installment, for me at least, is that it is HOG heavy. Many small HO in each scene. However, they were easy to find and get done with and move on with the story. There are 2 modes of play... story, or find all the objects. I think they could improve on this game a lot by making it more of an adventure type game without so many HOS. However, it is an enjoyable 5 hour game. Rated 4 out of 5 by Annette_S from Good Detective Story Liked the murder mystery story. Good graphics, sound. 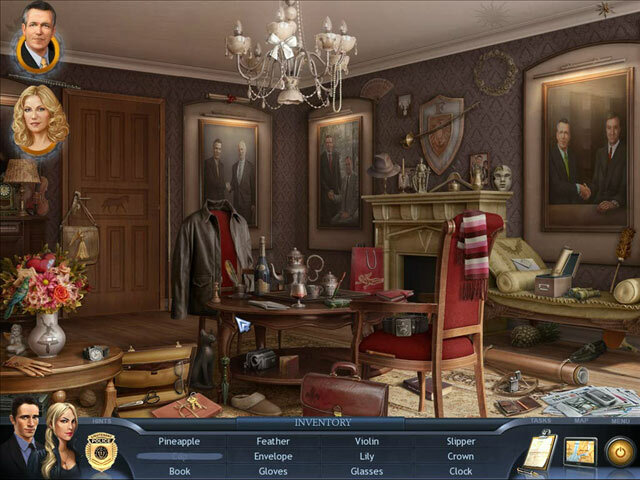 Help the Special Enquiry Detail crack the case, and catch a criminal, in this fun and exciting Hidden Object game!